If you’ve ever searched for advice on how to meet your financial goals, there’s one tip you’ve probably heard over and over: You need to make a budget. No matter what you’re trying to do — get out of debt, buy a house, save for retirement — financial experts all seem to say you can’t do it without first creating a strict plan to control your spending. Without a budget, they imply, your money will simply slip between your fingers, and you’ll never get anywhere. So you try. You save all your receipts and spend hours tallying up your expenses, sorting them into categories, and crunching numbers to figure out how much you need to set aside each month for recurring bills. You enter it all in a database and carefully tweak the numbers until you’ve got everything planned down to the penny. Then real life happens. Maybe your car breaks down, or you chip a tooth and have to go to the dentist, or your electric bill is way higher than you expected. Or maybe you just get tired of having to turn down invitations to go out to dinner or see a show because you’re “on a budget.” Whatever the reason, your budget gets blown wide open — and since you’ve been told you can’t possibly meet your goals without a budget, you figure you may as well just give up right now. Maybe it’s time for a new approach. I’ll let you in on a secret: There are actually quite a few successful people who don’t use budgets. If you follow their example, you can also reach your financial goals without one. According to the dictionary, a budget is an estimate of income and expenses for a fixed period. 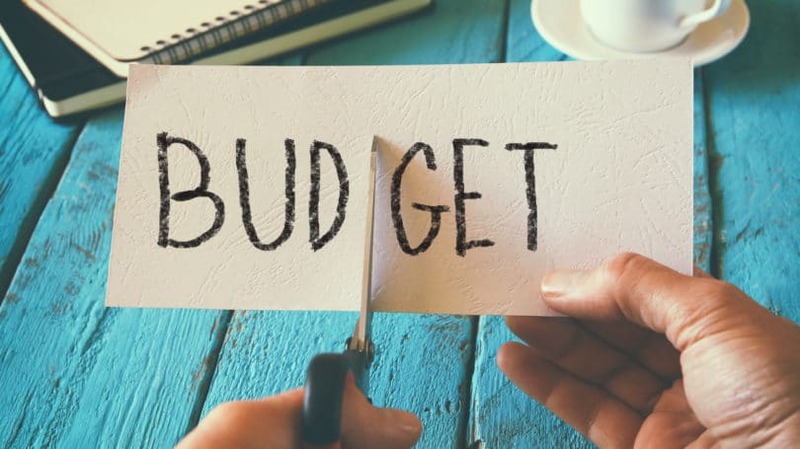 However, when people talk about budgets, they usually mean something a bit more specific: a detailed plan for how to spend your money each month. This kind of strict budget has its advantages. For many people, it’s much easier to control their spending when they know exactly how much they have to spend in any given category. However, for many people, a rigid budget like this is too hard to stick to. Here are some of the main reasons why budgets fail. Making and sticking to a monthly budget involves a lot of record keeping. First, you have to keep track of every single expense, from your monthly rent payment to a pack of gum at the convenience store. Then you have to keep a running tally — either in your head, on paper, or on a computer — of how much you have to spend in every category and deduct each purchase as you make it. 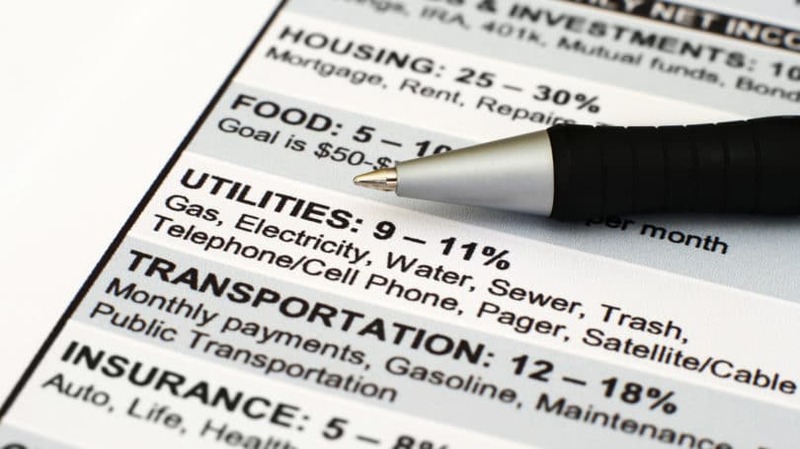 On top of that, you have to plan for once-in-a-while expenses, such as your quarterly water bill or annual insurance payment, and set aside money for those costs every month as well. For some people, that’s just too much to keep up with. Another problem with planning out all your expenses for the month is that there are some expenses you can’t easily plan for. You can create a category for car maintenance based on how much you spend in a typical month, but that won’t help you when your car breaks down and needs an unprecedented, expensive repair. The same applies to medical bills and home repairs. The best you can do is guess how much these unexpected expenses will cost you in an average year, and sometimes a guess isn’t good enough. A final reason why budgets don’t work for many people is that they feel too restrictive. Having to budget for every last penny feels a bit like being on a strict diet; you can stick to it virtuously when you’re just starting out, but after a while, you develop frugal fatigue. It gets harder and harder to pass up little treats like a movie or a dinner out because there’s no money in the budget for them. After a while, like a dieter who can’t stand one more meal of celery sticks and hard-boiled eggs, you crack and go on a binge. So, let’s say you’ve figured out after several tries that budgets simply don’t work for you. The question now is, what will? The answer depends on what exactly it is about traditional budgets that isn’t working for you. Some people need more flexibility to deal with unexpected expenses and treat themselves occasionally, while others want to avoid all the bookkeeping hassles. 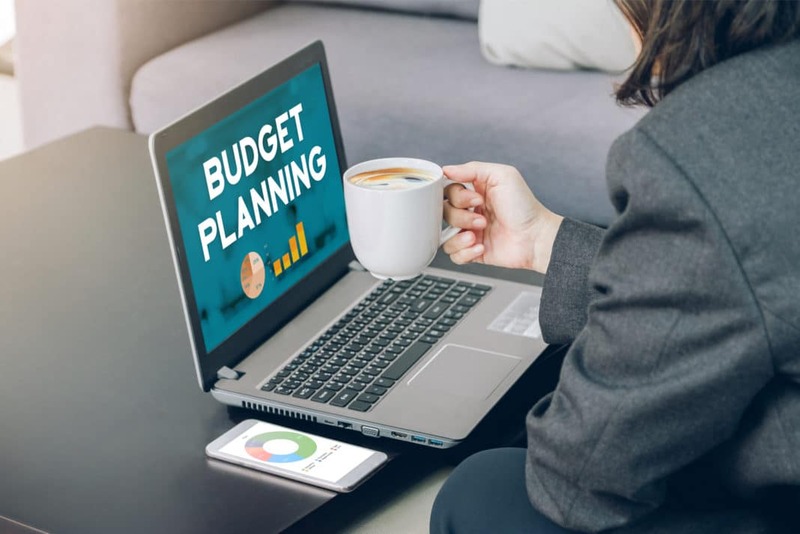 Here’s a rundown of several budget alternatives financial experts have proposed to avoid these problems while still focusing on your financial goals. Investment guru Chris Reining achieved financial independence at age 37, retiring from his IT job with more than $1 million — all without ever having a budget. In an interview with CNBC, he explains what he does instead: He simply keeps track of his income, expenses, and investments month after month. Like a traditional budget, this system requires you to track your spending and sort it into categories. This lets you see exactly where your money is going and figure out where you might need to cut back. However, unlike a traditional budget, this method doesn’t require you to set firm limits on your spending for any given month. Instead, you keep an eye on your actual spending and note where adjustments are needed. By being aware of what you’re spending and where, you’ll automatically avoid the kind of mindless spending that can sabotage your spending goals. If you’re used to traditional budgeting, it may sound crazy to suggest that you can control your spending merely by being aware of it. However, Reining isn’t the only investor who’s used this method successfully. For example, “Sean,” who runs the blog My Money Wizard, told CNBC that he had used this method to sock away over $256,000 in retirement savings by the age of 28 — more than three times the average for Americans of all ages. 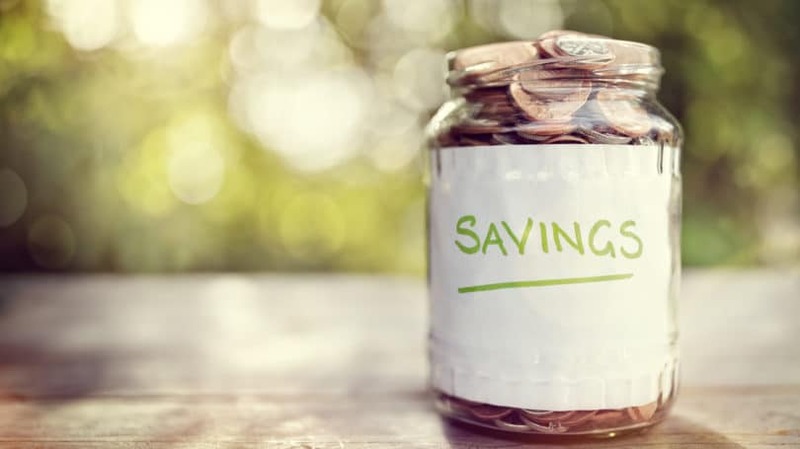 According to Sean, just seeing where his money was going made him “a more conscious and efficient spender,” allowing him to boost his savings rate steadily until he was saving more than 60% out of every paycheck. Write Everything Down. Start by writing down all your income and expenses for a single month. Every time money goes in or goes out, record it. You can do this on a plain sheet of paper or a computer spreadsheet, or use a budgeting app such as Mint or YNAB to do the tracking for you. Crunch the Numbers. Compare your expenses to your income and calculate what percentage of your income you’re spending in each category. For example, if you make $3,000 per month and spend $900 on rent, your “shelter” category would be 30% of your income. Set Spending Goals. Look over the figures for each category. If any of them seems too high or too low, take a closer look and try to pinpoint the reason, and then set a goal to change it. For instance, suppose you’re spending close to 20% of your monthly income on food, which seems way too high. After examining the figures, you realize that you’ve spent over $400 in the last month on eating out. You could then set a goal to cut that amount in half. Watch Your Behavior. Over the next month, keep your goals in mind as you spend. You don’t need to write them down or set hard limits on your spending; just be aware of them. Repeat Every Month. At the end of the month, tally up your expenses again and see how you did with your new goals. If you didn’t meet them, keep focusing on them as you move into the next month. If you did, set yourself new, more ambitious goals. For instance, after getting your expenses for dining out down to $200 per month, you could aim to cut them to $150. Track Your Progress (Optional). Reining likes to add a couple more steps to his monthly tracking. In addition to adding up his income and expenses, he also checks the balance of his investments every month and calculates how much monthly income those investments could bring in. Then he logs all three figures — income, expenses, and investment income — on a graph to see how they change over time. Reining says being able to watch yourself growing steadily closer to financial independence, month by month, is a great motivator. If what you hate about budgeting is all the record keeping, then tracking your spending isn’t a good solution for you. A much simpler alternative is to figure out how much you want to save each month, set that amount aside, and spend the rest however you want. In other words, pay yourself first. Two financial experts interviewed by CNBC, Nick Holeman of Betterment and Kimmie Greene of Intuit, endorse this approach. As long as you’re saving enough, they argue, it doesn’t matter exactly how you’re spending the rest. By setting aside your savings at the start, you can stop worrying about little details like how much you’re spending on coffee or whether you can afford to take a cab instead of the bus. All you have to do is make the money you have left last out the month any way that works for you. Set a Savings Goal. First, decide how much of your income to save. This should include all forms of savings: building up an emergency fund, saving for retirement, paying down debt, and saving for specific goals like a vacation or a down payment on a house. Several financial experts suggest aiming to save 20% of your income in total to cover all these goals. They call this the 80/20 budget because it gives you 80% of your income to spend and 20% for savings. Choose Accounts for Your Savings. Next, figure out where you’re going to stash your savings. It’s important to keep it separate from the bank account you use for day-to-day expenses so you can’t dip into it if you’ve blown through all your spending money. A good chunk of it should go into a retirement account — either an IRA, a workplace retirement account such as a 401(k), or both. You can stash the rest in a separate savings account or investment account, or even set up multiple bank accounts for different types of savings. Decide what percentage of your income you want to direct toward each of these accounts. Set Up Direct Deposits. The final step is to arrange to have the appropriate amount from your paycheck deposited directly into each of your chosen accounts. If you’re using a workplace retirement account, you can arrange to have pre-tax dollars moved straight out of your paycheck into the account. 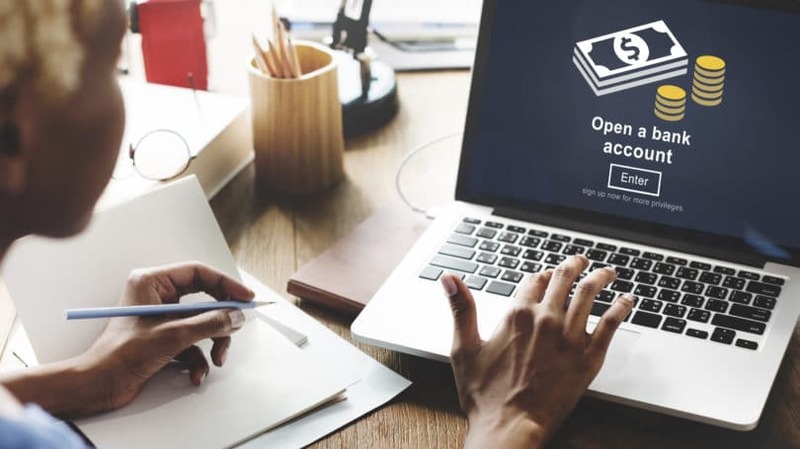 For other types of accounts, you can set up an automatic savings plan, having your whole paycheck deposited directly into the savings account and then automatically withdrawing the amount you need for living expenses. Keep the Rest. Once you’ve put your target amount into savings, you can keep the rest in a basic checking account to spend as you like. A downside of the “pay yourself first” approach is that if you’re not paying attention to your spending, you risk running through all your money before you get to the end of the month. For instance, you could spend big on entertainment and dining out in the first week or two, only to discover you no longer have enough money in your account to pay the gas bill at the end of the month. One way around that is to set up two separate accounts for your spending, in addition to whatever accounts you’re using for your savings. You use one account to pay your monthly bills and a separate one for your day-to-day spending. That way, even if you blow all the money in your day-to-day account on lattes, you’ll still have money in the other account to cover the essentials. Set Aside Savings. The first part of this system is just the same as the “pay yourself first” system. Figure out how much you want to save out of every paycheck, and have that amount automatically taken out of your paycheck and put into the appropriate accounts. This can include your 401(k), IRA, savings accounts, or investment accounts. Set Up Two Accounts. Next, set up two separate accounts at your bank: one for your regular bills, and one for the rest of your spending. Arrange to have your paycheck (minus savings) directly deposited into the bill-paying account, and set up automatic bill payment from this account. This guarantees that, no matter what else you spend money on, your bills will always get paid. Calculate Your Monthly Nut. Figure out how much money you will need to keep in your bill-paying account each month to cover all your fixed expenses, such as rent, utilities, insurance, and any regular debt payments. This amount is sometimes called your “monthly nut.” Since some bills vary from month to month, the best way to calculate this amount is to get out all your regular bills for the past year, total them up, and divide the total by 12. Make sure to include bills that are only paid occasionally, such as your quarterly water bill or your car insurance payment, in the total. That way, you’ll set aside a little money in your bill-paying account each month to cover these expenses when they come around. Transfer the Rest. Subtract your monthly nut from your total monthly income. The difference is the amount you can use to spend on all the expenses that vary from month to month, such as food, clothes, and entertainment. Transfer this amount into your day-to-day “pocket” account, and spend it on whatever you need. One downside of this system is that it makes it hard to use a credit card for purchases. When you buy things with plastic, it’s easy to lose track and spend more than you have in your account. This method works much better if you use a debit card so that all your purchases come directly out of your pocket account. That way, you can’t possibly spend more than you have. If all these budget alternatives still seem too complicated for you, there’s one other approach that’s even simpler — but it’s not easier. It’s what Investopedia calls a “boot camp” approach. The idea is that, instead of trying to limit your spending in different categories, you look for a few big expenses you can eliminate completely. This will make enough room in your budget so that you can spend freely in all other categories, while still having enough to spare for savings. The obvious downside of this approach is that it involves substantial, difficult lifestyle changes. Little modifications like using less electricity or downgrading your cell phone plan won’t cut it. You’re looking for the kind of cuts that can save you hundreds of dollars a month, like canceling your cable, getting rid of a car, moving to a smaller house or apartment, or completely giving up restaurant meals. Although these cuts will be painful, you only need to make them once, instead of watching your pennies every single month. Once you’ve cut out these big items, you’ll have plenty of money left for everything else, so you won’t need to pay attention to your budget. That makes this approach a good choice for people who keep making budgets but can never manage to follow them. Look at Your Expenses. Like most regular budgets, this system starts with looking at all your expenses for the past several months. Focus in particular on recurring expense you pay month after month, such as your rent, transportation, or a gym membership. Don’t worry; you’ll only have to do this step once. Look for Big Expenses to Cut. With a normal budget, your next step would be to group your expenses into categories and start looking for ways to trim your spending in each area. However, you’re not looking for small savings; you’re looking for big savings. Try to find a few large expenses on your list that you can eliminate. To do this, focus on the areas where you’re spending the most. For instance, if you discover you’ve spent $600 on clothes shopping in the past three months, maybe it’s time to pare down to a capsule wardrobe and declare a moratorium on buying any additional clothes. Follow Through. Identifying expenses to cut is the easy part; actually making those cuts is harder. Expect to go through a painful period of adjustment as you cut these expenses from your life. After a few months, you’ll find yourself adjusting to your new lifestyle — and the new freedom to spend your money as you like. With those big expenses gone from your life, you’ll have all the money you need for everything else, with room to spare. These alternative budgeting systems can be less restrictive than a traditional budget. However, for that very reason, they won’t work for everyone. Some people need the discipline of a traditional budget to keep their spending in line. If they don’t set firm limits on how much they can spend each month in specific categories, such as clothes or entertainment, they’ll spend their whole paycheck on these items and have nothing left for groceries. If you’re one of these people, there are ways to make traditional budgeting simpler. For instance, several experts recommend a simple envelope system, in which you put cash into envelopes marked “groceries,” “rent,” and so on, and take money out as needed. This system keeps a lid on overspending without the need for complicated record keeping. If you don’t want to use cash for everything, you can do the same thing by having a wallet full of reloadable prepaid cards, each one earmarked for a specific category. You might not even have to create an envelope for every category in your budget. If you only have trouble controlling your spending in one or two areas, you can use envelopes of cash for those and spend normally on everything else. Even Reining, who says he doesn’t believe in budgets, admits to giving himself a firm limit of $100 per week for food and entertainment. You can do the same thing with clothes, transportation, or whatever your budget-busters happen to be. What do you think? Are budgets useful, or is it better to use a simpler “anti-budget”?